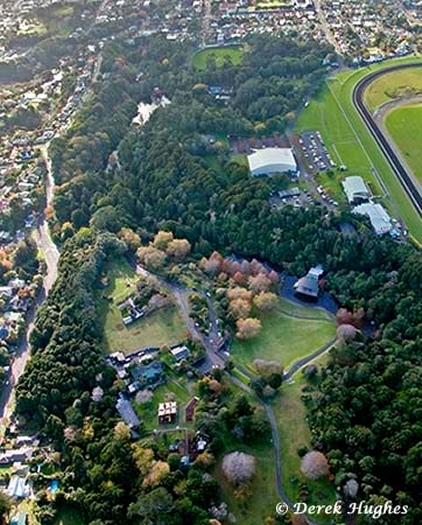 Your gateway to information about the ecology and history of Pukekura Park and Brooklands. The Pukekura Park Portal Project combines maps of Pukekura Park and the on-line library of resources relating to the botanic gardens, the wildlife, and the people who have worked for the Park. The mapping service is hosted by DataMap and the resources are held here in "kete.pukekura". As you explore the kete you will see images, hear audio files and read documents which relate to plants and places in the Park. If these have been linked to the map, you will be able to locate them - and plan a walk in the Park. Please click on this link to visit the Friends of Pukekura Park website for general information, news and events calendar. Friends of Pukekura Park, New Plymouth, Inc. The Pukekura Park Kete with map viewer was made possible through funding from the NZ Digital Strategy Community Partnership Fund in 2007. The kete links community archives to online maps in a Geographic Information System developed by the Friends of Pukekura Park and MAIN Trust NZ, a Charitable Trust which has developed online mapping systems for community use. Visit the Friends of Pukekura Park website with information about the Park, how to join, events and news.